Dubai, United Arab Emirates: Building occupants have for a long time grappled with how to gain access to a facility when they forget their access card at home, or who to call when their work area is not at favorable temperatures, particularly in regions with tough climate conditions. To address these common frustrations, Honeywell (NYSE: HON) today announced a new mobile software application for building occupants. With an increase in the use of connected devices and technologies, coupled with busy on-the-go lifestyles, the Honeywell Vector Occupant App combines the convenience of today’s mobile devices with connected building features to give users more control over their comfort levels and ability to securely move about the work place. The new software is the latest example of Honeywell’s leadership in the Internet of Things around connected buildings. The new app provides digital identification and integrates with core building functions, including access and comfort control, to enhance building occupants’ experience with the touch of a screen. The app’s access control capability eliminates the need for physical cards or fobs and gives users secure access via their smart phones. In addition, occupants can quickly and easily communicate temperature discomfort for real time adjustments instead of the more time-consuming process currently used of seeking out a facility manager or making a phone call to request temperature changes. The Honeywell Vector Occupant App allows facility managers to benefit from immediate insight into where and how comfortable occupants are, so they can make adjustments more quickly and easily. 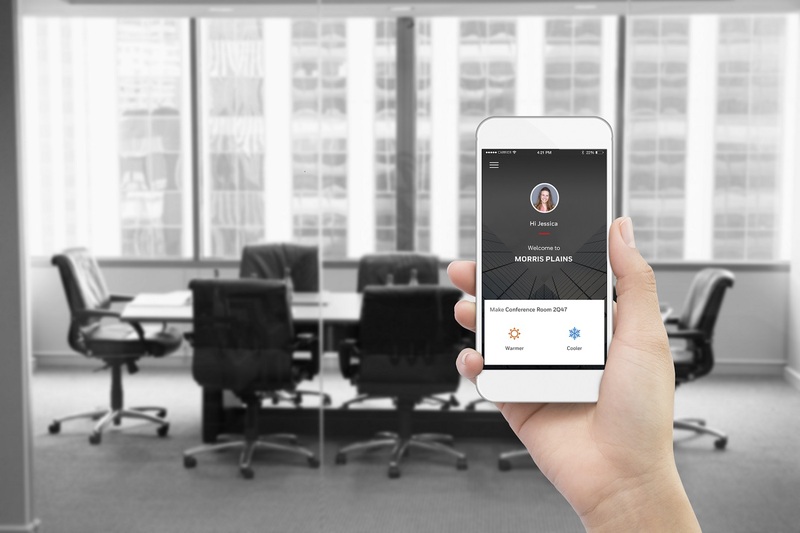 The app’s digital identification and access control capabilities make it easier to manage occupant credentials, eliminating the need for keeping track of and replacing misplaced access cards. “Across the Middle East, facility managers and occupants are increasingly focusing on making their buildings smarter through innovative technologies that allow them to be more green, safe and productive. This new app gives users more control over energy usage and costs, while also offering increased comfort and convenience, which is of particular relevance in this region where high temperatures can make everyday life challenging,” said Anthony Azar, General Manager for Honeywell Building Solutions Middle East. “Occupant engagement is an increasingly important aspect of intelligent building solutions, and the smart phone app is an innovative new platform for gathering insight that can refine environmental conditions to optimize workspaces,” concluded Azar. Backed by a cloud-based architecture and enabled by HID Global’s Seos® credential technology, the Honeywell Vector Occupant App works independently of underlying building systems, enabling widespread use and adoption. Administrators within facilities deploying the app access a cloud portal to manage users and features such as corresponding user identification and credentials. Users who download the app must receive an invitation from the administrator in order to gain access to its features. One-Click Hot/Cold Calls – Provides a quick and direct way for occupants to indicate when their work areas are too hot or too cold, and to receive confirmation that their issues are being addressed. Facility managers are alerted to occupants’ discomfort right away and the location of the call, identify patterns and quickly make adjustments to satisfy occupants. Honeywell Building Solutions is a part of Honeywell Home and Building Technologies (HBT), a global business with more than 44,000 employees worldwide. HBT is a leader in the Internet of Things (IoT) and creates products, software and technologies found in more than 150 million homes and 10 million buildings worldwide. We help homeowners stay connected and in control of their comfort, security and energy use. Commercial building owners and occupants use our technologies to ensure their facilities are safe, energy efficient, sustainable and productive. Our advanced metering hardware and software solutions help electricity, gas and water providers supply customers and communities more efficiently.